We’ve known for some time that Chicago architect and certified genius Jeanne Gang has been planning a residential tower for San Francisco‘s Transbay District, south of Market Street. Now we know what it will look like. 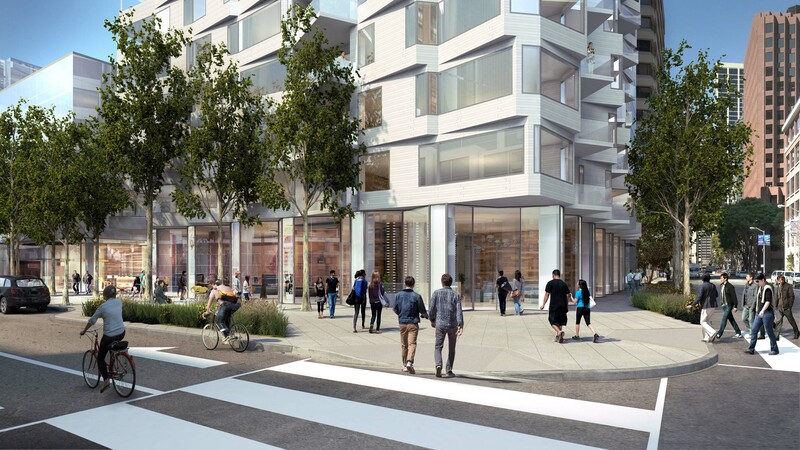 Gang and developer Tishman Speyer have revealed renderings of a 400-foot-tall, 40-story building clad in masonry tiles at 160 Folsom Street. Units would contain large bay windows, a staple in the Bay Area. But the bays will jut out at sharp angles and change configuration as the building rises, creating what appears to be a twisting tower profile. 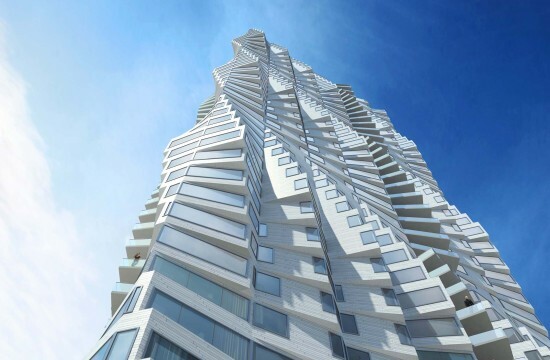 “What I like about tall buildings is what you do with the height, the incremental moves along the way,” Gang told San Francisco Chronicle critic John King. Studio Gang and Tishman Speyer both told AN that Gang could not comment at this point in the process. Thanks to a deal with local officials in which the building was granted another hundred feet of height, the development, located about a block from the Embarcadero, will—if approved—contain about 35 percent affordable housing. That’s the same figure the overpriced city is hoping to achieve for future developments. Currently all projects in San Francisco are required to set aside about about 12 percent of their units as affordable, lest they pay a fee. 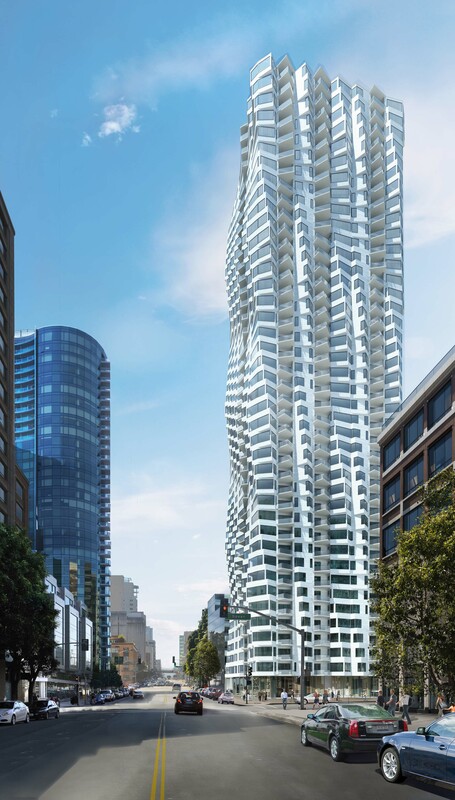 The Transbay District, anchored by Pelli Clarke Pelli’s Transbay Center, is now set to contain new buildings by Studio Gang, Pelli Clarke Pelli, Renzo Piano, and OMA, a remarkable conglomeration for an area that just a decade ago was a relative afterthought. Overall the district is set to contain more than six million square feet of new office space, nearly 4,400 new housing units, and about 100,000 square feet of new retail space, according to the Transbay Joint Powers Authority.